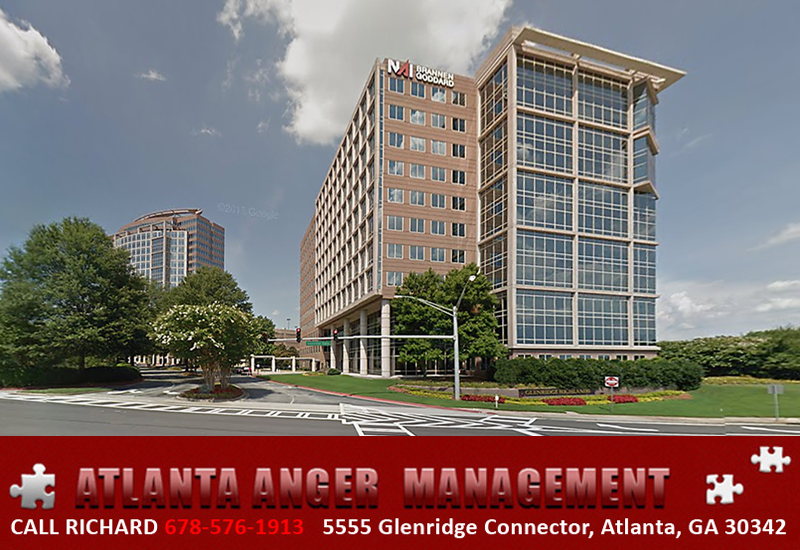 Atlanta Anger Management has the most Anger Management Classes In Atlanta. Be Early or Arrive On Time. Attend one class or both. Anger – Management – Classes – Atlanta offers Atlanta Anger Management Classes in Atlanta. Monday Classes, Tuesday Classes, Wednesday Class, Thursday Class, Saturday Class and Individual Sessions By Appointment as needed. Are you searching for Anger Management Classes or One on One or Couple Sessions to help your anger issues? Or perhaps your partner’s anger? Are you a Company needing to help an employee handle conflict or raising their voice? Anger Management Two Day Classes. Inquire. Richard Taylor far exceeds the average instructor. His method of teaching provides a kind of individualized instruction designed to target and engage each person accordingly. The classroom size is a direct reflection, structured around about 5-6 students during a single session. The friendly atmosphere also promotes a great interest for learning the material, which incorporates social dynamics that optimize the overall engagement. Richard also promotes the idea of seeing things through a multi-perspective approach, which can help to evaluate and predetermine real-world outcomes before they can become problematic. For example, during an argument, which becomes physical, it may be justified to use force: however, Richard maintains the importance of trying to practice professional, non-confrontational assertiveness, especially in certain circumstances such as gender discrepancies (male vs. female) or other related contexts. Even avoidance can sometimes be detrimental since some people simply hate being ignored. If you are seeking someone to teach you real-world application techniques in preparation for our current existence in a highly interactive, life-changing way, sign up now! Director Richard L.Taylor / Atlanta Anger Management is a Nationally Certified Anger Management Provider in Atlanta that others often try to imitate. Some even try to use our name to confuse you and try to lure you to them because they cannot stand on their own merits. Our URL brand and our name ATLANTA ANGER MANAGEMENT brand are being abused. Watch out for imposters. If they had merit and ethics they could stand on their own merit. The Real Atlanta Anger Management is copied but NEVER duplicated. There is only one Richard Taylor of Atlanta Anger Management. One Location Only. We don’t claim to be #1. We are #1. I thank everyone for your suggestions and input to continue to make us #1. * Court Ordered and Volunteer participants who complete 6 or more classes. All other companies claiming to be Atlanta Anger Management are frauds. Many use our Name in their descriptions to confuse you and gain clients. Be aware. Do you want to use a company with no ethics? What if your court paperwork is not accepted? Participants are Self Check In, Court Ordered or often Companies H.R. and EAP Managers referred. Anger Management Assessments and Emotional Intelligence Development.